Well I haven't done much (who am I kidding, any) basket weaving lately, but I have still been keeping my crafting skill in practice with other projects. One of the classes I recently took with a couple of friends was a class in making glass paperweights at a local shop, Third Degree Glass Factory. This was just an afternoon class, from 2 to 5pm on a Saturday so it was pretty fast and furious. 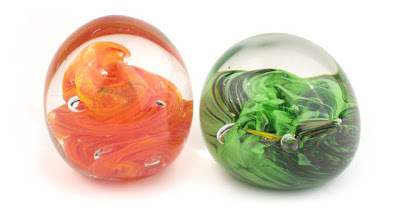 We did learn a lot, but with only having time to make two paperweights you were just getting the hang of it when it was time to quit. I would love to take another class and if they only had 12 students like they initially said then we would have had time to make three paperweights each. I was surprised at how much of a team effort the project would be. It really took three people to make each paperweight. The person actually "making" the paperweight pretty much stayed seated while an assistant heated up the glass and helped rotate it while the maker worked it with the various tools. A third person's job was to hold a long wooden paddle under your arm and hand so you wouldn't get burnt from the heat coming off the glass. The first one was kind frightening as you didn't really know what to expect and how the glass was going to behave. Of course the three instructors made everything look so easy. But by the second demonstration and the second paperweight we were feeling so much more confident. The orange paperweight above on the left is my second one and the one I am much happier with. Both are more lopsided than I expected. Some how I completely didn't notice that when they were being finished up, but the one friend I have spoken too that took the class also commented at how lopsided his were too. I guess it is sort of like pot throwing, once you get past a certain point the shape is set and the only way to change it is to basically start over again. If I take another class I would definitely know more of what to watch for and hopefully how to control it. Unfortunately the class was $95.00 so I will have to see if I get any Christmas money. While this wasn't fiber related in the least it did get me motivated and excited about weaving again. Sometimes you need a little recharge to get the creative juices going again. It is also fun to do things that are completely outside of your comfort zone sometimes. I just read this over on Pam Zimmerman's blog, Catching the Moon: Weaving My Life. 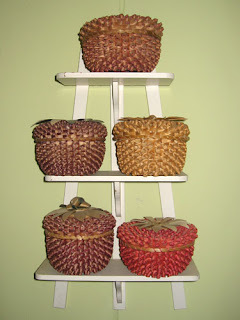 Three of the Native American baskets I have in my personal collection. This month, we celebrate the ancestry and time-honored traditions of American Indians and Alaska Natives in North America. They have guided our land stewardship policies, added immeasurably to our cultural heritage, and demonstrated courage in the face of adversity. From the American Revolution to combat missions in Iraq and Afghanistan, they have fought valiantly in defense of our Nation as dedicated servicemen and women. Their native languages have also played a pivotal role on the battlefield. During World Wars I and II, Native American code talkers developed unbreakable codes to communicate military messages that saved countless lives. Native Americans have distinguished themselves as inventors, entrepreneurs, spiritual leaders, and scholars. Our debt to our First Americans is immense, as is our responsibility to ensure their fair, equal treatment and honor the commitments we made to their forebears. This beautiful coiled basket was a gift from my aunt and uncle a few Christmases ago. A coworker of my aunt was going to Africa so she asked her if she would look for a basket for her nephew. The poor woman had to drag the basket all over her vacation, but according to my aunt she took it as a quest and had fun looking for and acquiring the basket. Somewhere I have a photo of her with the basket on safari. I thought it was inside the basket, but it isn't so I will have to track it down. 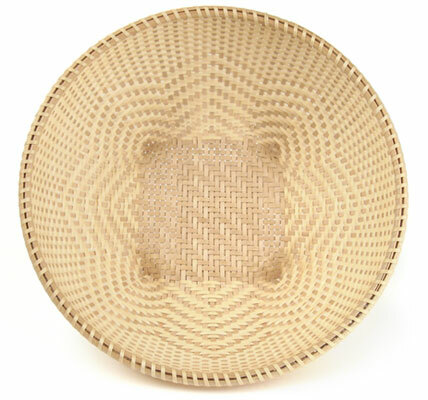 Makenge basket, hand-woven from the roots of the Makenge tree by the women of the Upper Zambezi River region of Zambia. Makenge baskets take about a week each to make and are used to harvest, winnow and store grain. A newlywed bride may be given several baskets by her in-laws, which she will eventually pass down to her children. Makenge baskets are very strong and durable which, if required, can be washed or scrubbed with no ill effect. Colors are obtained by boiling the roots in various barks. The basket is definitely sturdy and well made. The lid fits on like Tupperware. As with all of my collection the only "use" the basket sees is as an art object. I don't intend to scrub the basket any time soon. OK, so I am obsessed with HGTV and the DIY Network. I even have the most expensive package of satellite channels (250) just so I can get DIY. Well one of my favorite features are the "trash to treasure" shows. I guess I get it from my dad, but I love taking something from a flea market or even out of the trash (yes I am a big dumpster diver from way back) and make it into something useful. While my dad really takes a broken up dresser and makes into into something beautiful, most of my projects to date have only consisted of tightening up some legs and a fresh coat of paint. A few years ago on one of my garage sale (tag sale for those of you on the eastern seaboard) expeditions I came across three restaurant-quality stainless steel shelves for $5 a piece. Well seriously, who could pass up a deal like that? They were even still in the boxes! I didn't initially have a use for them, but knew the wheels were already turning in my head so that wouldn't be a problem. The first two quickly became the top for the bar in my basement. Like so many homes here in "south city" St. Louis, my basement features a 50s-style party bar, complete with knotty pine, bamboo matting, rope edge shelves and plenty of kitsch. 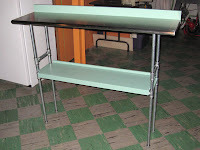 The bar itself was in pretty good shape, but needed a new top to replace the odd linoleum covered one. A coat of paint, wood end caps and two stainless steel shelves butted together made for the perfect "modern" top for my upgraded bar. For the last 3 years the third remaining shelf has been sitting in my garage (along with a bunch of other stuff I keep dragging home) just mocking me to make something out of it. My foundation is made of stone so the walls are too irregular to hang shelves from so simply mounting the shelf to the wall was our of the question. It it was going to be anything it would have to be free standing. So, something clicked in my head and the wheels were turning. I wanted to have some more drink prep area behind my bar and wouldn't a stainless steel table to match the bar just be perfect? I did a bit of research online and found that indeed galvanized pipe (I guess it is actually used for electrical conduit, I never really did find out its actual intended usage) is relatively inexpensive. A short section or fitting is only a couple bucks a piece, so seemed like the idea solution to my problem. A quick sketch to determine the pieces I was going to need and I was ready to head to Home Depot. I decided that I needed to have a second shelf and that could be made out of scrap wood from some old glass block shelves (another dumpster find) I had made for my first apartment that had long been disassembled. I happened to have the Tuesday off after Labor Day so decided to use that as my errand running and project completing day. I arrived at Home Depot with list in hand and after some searching finally found the galvanized pipe section. I decided that I could use 1/2" pipe instead of the larger 1" sections that the TV designers favor. It was a dollar so so cheaper, depending on the section, so since I had only paid $5 for the top I really wanted to go for the whole "make something great for nothing" experience. So, have you been doing the math in your head? Come on, the short sections are only $1.24 and the tees only $1.33, this is going to be a great inexpensive project, right? WRONG! All these little pieces added up to over $100!! Well, Mr. Hardhead was already well into the project at this point so I took my cart of pipe and my considerably lighter wallet home to start my construction project. Of course you can never go to Home Depot just once. I realized after I got home that the 8" sections I bought were too long so had to go back and exchange those for 6" lengths. Hey, they were each 88¢ cheaper! I also realized that I didn't need a 36" board for my back splash, but a 48" length. Whoops, that was $6.85 instead of $3.98, there goes my 88¢ (x2) savings. I also hadn't thought about how I was going to get the lower shelf secured so had to get four "pipe straps", but hey, they were only 19¢ each! So, after much cussing and cutting and screwing pipes together and some leftover paint from the bar my table was complete (after 8+ hours of work) and ready for use. I really am quite pleased with how it turned out and it looks and works great next to the bar. What in the world has happened to August and now half of September? It will officially be fall in a few days. I have been so remiss in my blogging. So much for my goal of writing something once a week. Maybe now that the yard and outdoor activities are winding down I can devote a little more time to this. I haven't been weaving much, but I have done a couple projects around the house I will write about (hopefully soon). 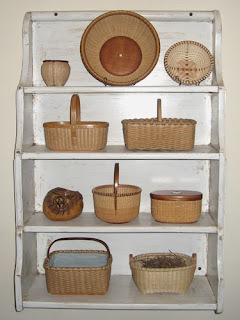 Below are my answers to some common questions about stains and oils used on baskets. 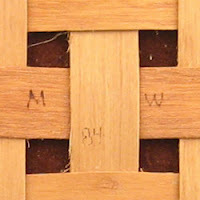 When I used to weave a lot of reed baskets I if I were to stain them I always used one of the Minwax stains. Usually I would dilute the stains with mineral spirits/paint thinner as reed absorbs stain very quickly and you can end up with a very dark basket in short order. Also, by diluting the stains I could achieve lots of different shades. I would also sometimes mix colors to get ever more shades. A personal pet peeve of mine is to walk into a basket booth at a craft fair wherever single basket is the same color. It just makes all the baskets look generic to me, but as I said that is just my personal preference. 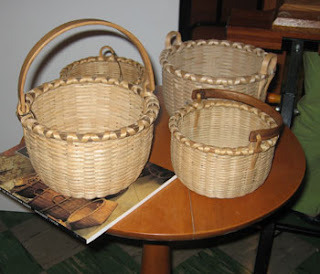 I never used any "oil" on the bodies of any baskets that I make, I will use boiled linseed oil/turpentine on my handles and rims of my black ash baskets, but never on the weaving. There is a lot of misconception about things called "oils", these aren't oils in the way one thinks of mineral oil or baby oil. Oils such as tung, linseed, Danish, etc. are actually wood finished and seal the fibers instead of "moisturizing" them as I think weavers are intending to do to their baskets. Here is what I found on the internet concerning these "oils": Tung oil is made from the pressed seed from the nut of the tung tree. Tung oil is considered a drying oil much as linseed, safflower, poppy and soybean oil. When applied it provides a tough, highly water-resistant finish which does not darken noticeably with age as does linseed oil. Tung oil is also sometimes called “China wood oil”. It has been used for hundreds if not thousands of years in China to seal decorative and marine wood as well as porous masonry. "Danish oil" or Polymerized Linseed oil is, in its unadulterated/pure state, a non-toxic, wood finishing oil, similar to Tung oil. However, like tung oil, it is often used in various finishes with the addition of solvents or other substances, that are often toxic. Polymerized Linseed Oil gets harder and more durable with age. Buff occasionally with a soft cloth. Now, I am not saying any of these or products that contain these are necessarily bad for your baskets, but I just want to make sure everyone understands that they aren't making their baskets more flexible, but are actually sealing their baskets from breathing. While they may make your baskets look wet, they aren't actually increasing the moisture level of them. So to actually answer [the] question probably the only true best finish for your basket is NO finish at all. A light dusting with a soft brush and a mist with water is the best way to preserve you reed baskets. If you want to add color to your basket you can always use something water soluble like tea, coffee or other dyes. 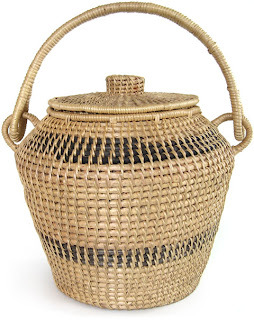 (The above does not apply to Nantucket baskets which traditionally have a hard finish applied to them in the same way a piece of wood furniture would be finished) NEVER OIL [OR STAIN] AN ANTIQUE BASKET! The only time you want to oil an antique basket is if you want to remove any value from the piece as you will destroy the natural patina of the basket. Also never wash or soak an antique or even a new oak or ash basket. Use the method I describe above, use a soft brush and a light mist of water or even better rotate them through the bathroom so that the steam from the shower hydrates them. Hope this helps answer a few questions out there. If you haven't seen it yet, I am the featured artist in the current issue of Basket Bits magazine, #67-August 2009. Here is an excerpt from the article. What drew you to basket weaving? I grew up in a family of creative people, who were always making something. When I was little and would go over to my grandparents, I would draw pictures and my grandma would make them into stuffed animals. Basically we made stuff all the time, so I grew up with the idea that if you had an idea in your head you could just make it in 3D. My mom owned a fine needlecraft store where she also carried other current craft trends, like stenciling, folkart painting, etc., which gave me the opportunity to dabble in various arts and crafts. Making baskets was a perfect fit for me because I could start with a concept and a pile of wood strips and in a few hours I would have this completed basket. Like my grandma, who would take a few scraps of fabric and make a bird out of it for me to play with, I could now take a bunch of reed and make it into something that was only in my head. Beyond all of that I am drawn to the repeating and rhythmic patterns in baskets. I have always been drawn to the repeating shapes in nature like the veins in leaves or the spirals in shells. I find the process of weaving to be relaxing yet exciting as you watch the basket take shape. Another question I get asked often is about applying finish or varnishes to baskets. Of course these are just my opinions, ask 10 basket makers and you will get 10 different answers. In general you will want to leave your weaving materials unfinished and un-oiled. Anything that is going to seal your basket from the elements is also going to seal it from the moisture it needs to breath and remain flexible. Just like starch makes a shirt look nice, but wear out faster, so does finish on the fibers of a basket. Woven baskets, by their very nature, flex and move, any kind of hard finish is going to make the fiber stiff and more prone to breaking. 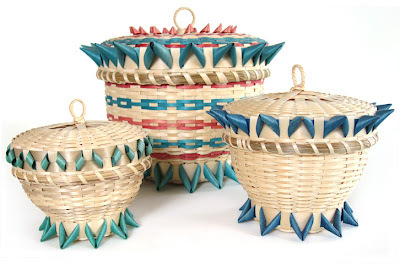 About the only baskets that are traditionally "finished" are Nantucket baskets and sometimes coiled pine needles (but I don't prefer them to be). 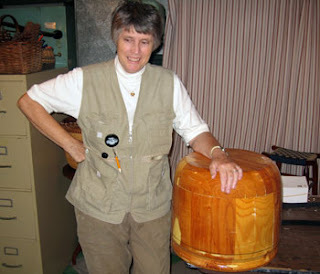 Oiling a basket (not tung oil or boiled linseed, which are actually finishes, but something like mineral oil) may seem like it would make the fibers more flexible, but oils tend to attract dust, which will also shorten the life of the basket. If you want to oil the handle or rims that is fine as they don't need to "flex" like the body of the basket. So in summation, it is better to leave your natural fibers (which reed is) just natural. I will post sometime about how I like to finish my Nantucket baskets. It is a multi-step process, but I think gives a great result. Until then, happy weaving. Wow, I can't believe another workshop has already gone by. It seems like I was just getting the classroom area setup for Martha's classes and now it is time to get cleaned up and ready for JoAnn Kelly Catsos' classes that will take place at the end of the month. As always everyone had a great time. It was blistering hot up until the last day, with heat indexes around 110 degrees. My air conditioning was running overtime and I am frightened to see what my electric bill is going to be this month, but at least we stayed cool. We had 15 students, including myself, taking two classes over four days. The first was a continuation of a series of nested Nantucket baskets and the other a larger version of a Bushwhacker basket we made last year. I finished up my nesting set of nine Nantucket baskets by making the smallest, #0, which was about 2" in diameter and woven with 1.25mm cane. I also made a 7.5" diameter Bushwhacker basket that my 5.5" basket from last year fits in nicely. I was very pleased with how both basket turned out, especially the Bushwhacker. In the near future I should be posting all of my class photos on my main website JASkets.com with descriptions of everything we were doing. I ran across a great blog posting by Mike Reichenbach about the battle to save the ash tree in the United States. If you live in an area where ash trees grow please consider helping out with this project. Emerald ash borer (EAB), an invasive species, threatens to kill Minnesota’s ash trees. In response, Andrew David, a University of Minnesota forest genetics researcher, and Mike Reichenbach, forestry educator with University of Minnesota Extension, began a project to protect the genetic diversity of ash in Minnesota. Seed collected from wild-grown ash trees will be sent to a seed storage facility in Colorado. This is a proactive response to the presence of EAB in the upper Great Lakes region and the lack of a viable quarantine method to keep Emerald ash borer out of Minnesota. Ash seed has been ripening all summer and will be ready to pick when the seed coat is brown. Collection of seed will begin in the next 1-2 weeks (around the end of September 2008) and can continue through much of the fall. Black ash seed will fall with the leaves while green ash seed will remain on the tree for awhile after the leaves have fallen. It will be easier to collect from trees before the seed is scattered by winds and rain. Persons wishing to collect seed should watch the ash seed collection webinar found listed under the webinars tab at the following website: http://forest.nrri.umn.edu/ash. The ash seed collection form can also be downloaded from this site. Minnesota is host to three species of ash: white ash, green ash and black ash. While white ash is an upland species found along the Mississippi River in southeast Minnesota; both black and green ash are common lowland hardwoods found throughout the majority of the state. Ecologically, black and green ash are the most important hardwoods in the lowland forest community. They represent 51 percent of the lowland hardwood cover type in Minnesota. Black ash is very important in native cultures as a source of wood for ash baskets. Both black and green ash provide a source of pallet, saw and veneer logs. All of Minnesota’s native ash species are threatened by EAB. EAB was most likely introduced to the region when it was transported on wood packaging of an overseas shipment from Asia in 2002 to the Detroit, Michigan and Windsor, Ontario area. Within the United States the insect is most often transported on firewood. As of August, EAB has been found in Illinois, Indiana, Maryland, Michigan, Missouri, Ontario, Ohio, Pennsylvania and Wisconsin. It has been responsible for the death of over 20 million ash trees despite quarantines on moving nursery stock and firewood out of infected areas. This conservation effort will preserve the genetic variation for a future point in time when EAB can be controlled and ash species can be reintroduced to Minnesota using locally adapted seed sources. For more information contact Mike Reichenbach, (888) 241-0724, reich027@umn.edu; or Gary Wyatt, (888) 241-3214, wyatt@umn.edu, both with University of Minnesota Extension. If the current population of ash trees are wiped out, if we can save seeds and replant, it will be 50 or 60 years before mature trees are available again. This would be devastating to all black/brown ash basket makers. Hopefully we can eradicate the emerald ash borer before total destruction of the trees. This basket was woven using a puzzle mold and kit from Marlys Sowers of Iowa. Marlys' husband Jeff turned the base, lid and one-piece rim which were dyed black using India ink (something I had never heard of doing before). The staves alternate between natural and dyed flat oval reed and it was chase woven with natural and dyed Hamberg cane. I was pleasantly surprised at how easy this basket was to weave. Because of the shape of the puzzle mold the staves did have to be tapered on both ends which took some extra time, but setting up the base was as easy as alternating between the two colors (Marlys recommended gluing the staves into the base, but I never do that on my Nantucket style baskets so omitted that step myself). While the weaving pattern looks like it would be complicated, after weaving the first row where I had to count each "stitch", all subsequent rows were just a matter of following the pattern below. 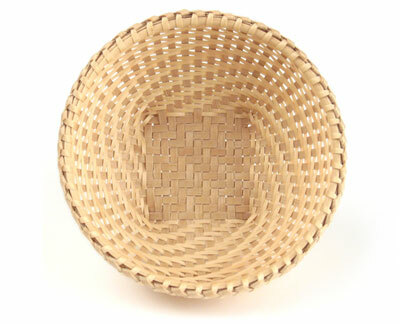 The contrast between the natural and black makes this a truly striking basket. I also purchase another smaller mold and with a cherry wood lid and staves kit along with another cherry lid and rim set for the larger mold. While the kits are not inexpensive the materials are of superior quality and the resulting baskets unique additions to any collection. This is the latest addition to my collection of baskets, a Martha Wetherbee Shaker woodchip basket. 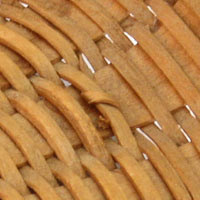 The basket was woven in 1984, relatively early in Martha's career as a Shaker basket historian. Over the years the basket has developed a nice patina and darkened to a deep honey color. 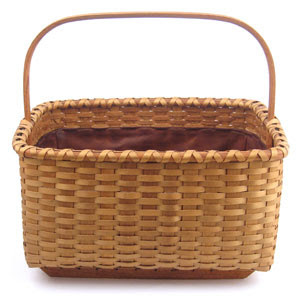 The basket features oak runners laced to the bottom of the basket with leather and a leather liner sewn to the inside of the basket. Baskets like these were made by the Shakers to transport and store short lengths of wood for the small wood stoves they used to heat the rooms of their buildings. The wooden runners or "skates" laced to the bottom of the basket allowed the loaded basket to be dragged by a rope across the snow or ice like a sled. The leather liner kept any wood scraps from falling out onto the floor of the neat and orderly Shaker homes and buildings. I was fortunate enough to come into possession of this basket when a collector from Boston, MA contacted me to ask if I knew the value of the basket. I informed him that according to Martha's 2008 price list a new woodchip basket with liner was $2,500.00. He had listed the basket on Craig's List, but hadn't gotten any offers, so I made him one and the basket was mine. I am excited to shop Martha my new aquisition when she visits at the end of the month for our annual workshop. OK, so this isn't technically about basketry, but almost all my plants are in my basket weaving room, so I guess that counts. If you are like me and alternate between over watering your plants and letting them dry complete out, then Aqua Globes are for you. You know, the hand blown glass spheres that you fill with water, stick into your house plants and leave them to water your plants slowly over the next two weeks? Yes, those. Well I wouldn't order them over the phone or online when they are now available at stores like Target and Walgreens. I purchased a set (the come in a box of two) one day on impulse as they were only $10 and my plants were desperate for help. Well after only a couple of weeks I was sold on them and ready to buy two more for my other plants. Since I have started using them my plants have never looked better. 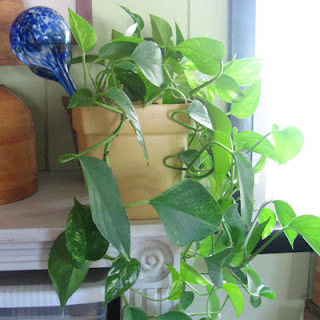 I have philadendrons and they were always so spindly and the leaves were always turning yellow and falling off. Now I have none of that and they are getting so much fuller. You need to have fairly large pots though as the globes are about 3" in diameter and the "spout" is about 8" long and they would probably tip over a small plant. Mine last over two weeks before I have to refill them, but it seems to depend on the pot on how fast the water is drained. At first the difference in water absorption really had me freaked out that one of them was not working properly, but I refilled both and switched what pot they were in and the same pant just drank the water more slowly than the other. When you pull the Aqua Globes out of the pots to refill them it will look like the tips have been clogged with dirt, but that doesn't seem to be the case in reality. You just have to flush out the tip with water to refill them. Put them back into the plants and you are good for another couple of weeks. Honestly I have no vested interest in Aqua Globes, but I do think they work just as promised on TV. I know so many of us are so busy all the time, what with so many baskets to weave, that we sometimes let other household chores fall by the wayside. This is an easy and actually pretty solution to a problem (that of course wouldn't exist in the first place if I could remember to water my plants!). Give Aqua Globes a try and let me know what you think. I had a follow-up question to my comments about tea staining. Someone was having problems with "water spots" on their basket after they had applied the stain. Here is how I addressed that issue. I have had problems similar to what you are describing. It usually occurs on large baskets or in conditions where the basket is drying before it is completely saturated with the stain. I have found that if I stain the inside of the basket first and then the outside I will get better results and if there are any areas that appear to be drying too quickly I will re-wet them with the tea stain. I believe what is happening is that as one side dries the newly applied stain to the opposite side soaks/runs through the weaving and gives parts of the basket a double dose of color. If a basket has dried blotchy I will heavily sprayed it with clear water, which will wash off a good portion of the color lightening up the entire basket. As I said in an early posting about tea dying I actually prefer some color variation as it more closely resembles an old basket, which is what I am trying to simulate with the coloring in the first place. If you are like me you have a lot of baskets and face the challenge of how to display all of them. I have a small house and not a lot of room, but a lot of baskets so I try to utilize as much of my available space to the best use as possible. Fortunately small to miniature baskets don't take up a lot of space, but they can be challenging on their own to display. I have found that flea market found shelves are a great solution. The can often be found for little money and usually without much work can be fixed up to look great. The little shelf here was already painted and only need a good dusting to be ready to hold some of the many strawberry baskets I have in my collection. This shelf is small, but easily holds 5 of my baskets. This little shelf was a craft show find. It was unfinished, but I painted and distressed it to match the rest of the room. 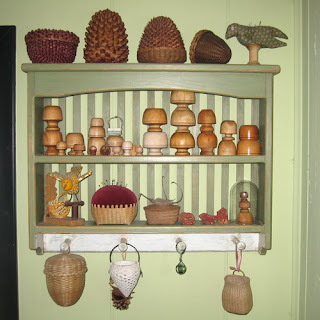 It displays my collection of miniature basket molds, Native American strawberry, pine cone and acorn baskets and other odds and ends. This shelf was a garage sale find. All it took was a little sanding to distress the edges and it matched perfectly the rest of my furniture. It hangs in my study and holds a variety of Native American baskets. I found this shelf at a neighbor's garage sale. I was running out of available wall space so hung this one in the stairwell going into my basement. 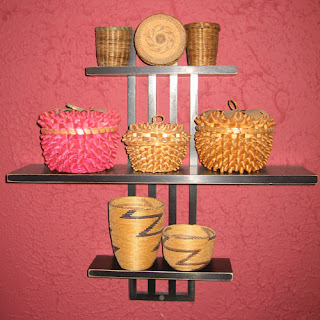 It was wasted space that was prime for displaying some small baskets I have woven and collected, including a Stephen Zeh basket. Another flea market find is this little corner shelf. It tucks in nicely in my bathroom in a space that would otherwise be completely wasted. It holds a nice twined Native American basket, two lidded coiled pine needle baskets and a small brown ash basket I wove myself. This is probably my favorite display. Even though it is technically a "Christmas tree" I keep it up all year round in my basket weaving room. It is filled with small and miniature baskets I have collected, both contemporary and antique, along with a couple that I have woven myself. Most of the baskets are from Alice Ogden. She weaves a new ornament basket every year. 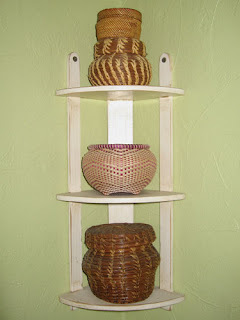 I get a lot of question asking me about different aspects of my basket making. I mentioned one time on Weavers Words that I like to use instant coffee or tea to stain my reed baskets and someone asked how I did this. I usually only mix up enough to do one basket at a time and brush mine on, so I usually use one cup hot water and about 1/8 cup instant tea for a light golden color to about 1/4 cup for a medium color. I just start dumping some tea in and test a dab on the basket and see what I think. I add more tea or more water depending on what I want. I don't use much instant coffee anymore, but that is because I have a couple of big jars of the tea in the cabinet. I think the tea gives a slightly more golden yellow cast and the coffee a little more of a brown color. It is a pretty subtle difference. I have never mixed the 2 together as I don't really think it would make much difference. I have saved extra mix before in the refrigerator and heated it in the microwave when I wanted to use it again. In a subsequent issue of Weavers Words some asked about water spotting on tea stained baskets and this was my response. Yes, the instant tea/coffee stain will water spot. I have really only noticed it on the handle before, not on the body of the basket. I don't find the minor spotting to be offensive as it just adds to the overall patina of the basket. The tool basket I used for years was stained with instant tea and has gotten splashed many a time and it looks great still. I have used ultra-strong brewed tea from bags before to dye reed to be woven in a basket and I suspect that is as permanent as you can get. The brewed tea gave a different color, more grays and browns in shade than the instant tea. I haven't ever used any kind of finish on a tea stained basket. 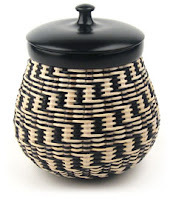 Their work is distinctive from the Shakers and includes details not found in other baskets. An example of one of these is the "knot" shown in the detail photo. 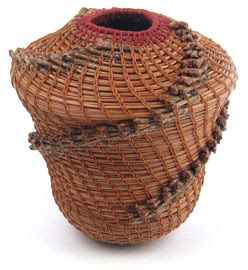 The baskets are started by weaving over ones knee. So that they could always weave in a clockwise direction the Bushwhackers would tie off their last bottom weaver, flip the basket over and then reverse directions for continuing up the sides. 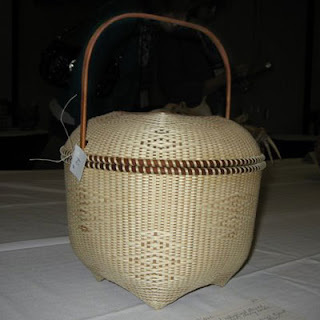 A great resource for more information on these unique basket can be found in Martha Wetherbee and Nathan Taylor's book "Legend of the Bushwhacker Basket". 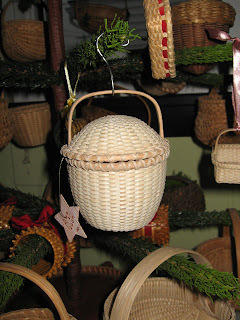 This is a basket from my collection. It was woven by Ben Higgins (1894-1981) of Chesterfield, MA. Ben was a prolific basket weaver working in white ash as his father had before him. 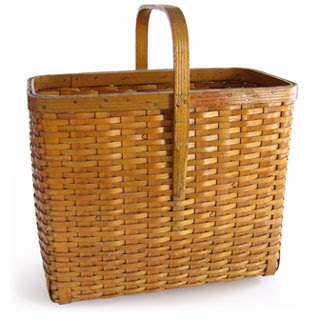 This particular basket is referred to as an "automobile lunch" basket as it was designed to fit the running board of cars of the era. 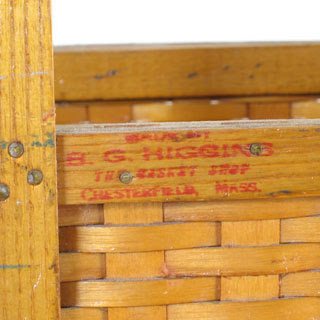 The basket still bares the rubber stamped signature "Made By B. G. Higgins The Basket Shop Chesterfield, MA". The base and sides of this bowl are woven in a 2/2 twill pattern with darker brown stakes contrasting with the whiter weavers. This graceful bowl is completed with a sawtooth rim. 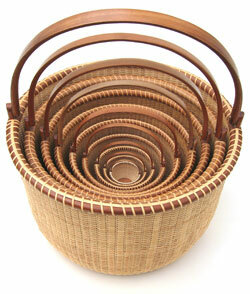 This basket is a great was to get your twill skills up to speed for the following basket. 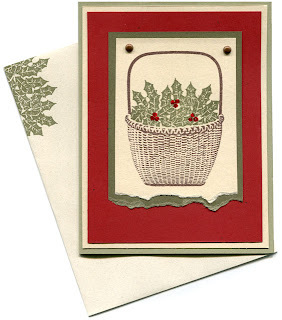 This snowflake or eight-point twill pattern was developed from the quadrafoil twill found in Shaker baskets. The design is highlighted due to the darker heartwood stakes and the lighter sapwood weavers. Lashed hardwood rims complete the treasure. Three day workshop, both baskets included. I am very excited to announce that I will again host 2 very special classes with Martha Wetherbee this year. 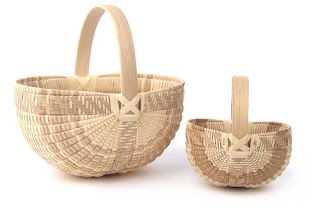 For over 30 years Martha Wetherbee has devoted her life to preserving the art of Shaker basketry and other American "signature style" baskets such as the Nantucket lightship basket. 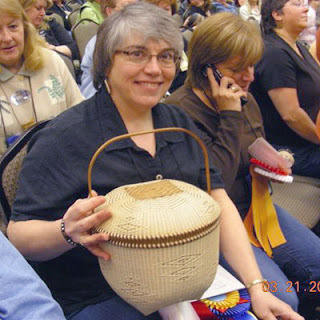 Credited with rescuing the art of Shaker basketmaking from extinction, Martha travels the country lecturing on the history of the Shakers and teaching others how to create these historically significant and beautiful baskets. I hope you can join Martha and me for one or both of these exciting and fun classes. 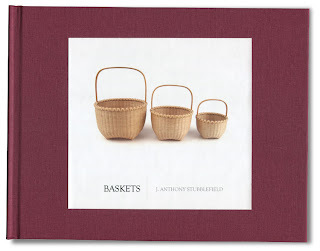 Join Martha to start or add to a set of nested Nantucket baskets. New participants will start with the #10 (10" diameter) basket. Weavers who have completed the #10, #12 and #14 will have their choice of either the #6, #8 or #16 and when feeling ambitious can make the #4, #2 and finish with the #0. 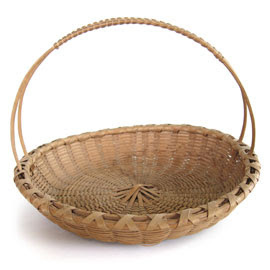 All baskets feature a cherry handle, rim and base, staves of hand pounded brown ash, and cane weaving. The beautiful handles are attached with a "hidden hinge" and unique cherry "ear" which sports a marquetry of contrasting wood where the basketmaker can put his or her monogram, hence the "signature" basket. 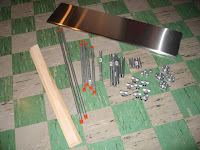 Class fee includes all materials, handouts and use of mold, weaving stand and tools. #7 (7.5") Bushwhacker basket next to last year's #5 (5.5"). 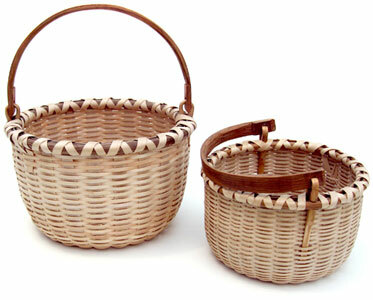 A basket style made in west Taghkanic, New York, commonly referred to as "Bushwhacker" is an example of an American Signature basket design, as unique as the more-recognizable Shaker or Nantucket style. 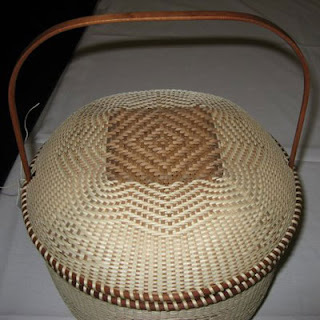 While researching the Shaker baskets, Martha found that the Bushwhacker baskets were made by three families of basket makers living in Columbia County, New York, just 25 miles from the Mt. Lebanon Shaker village. Made from hand-pounded brown ash, this swing-handled (or side ear-handled) basket has a bump bottom and is shaped over a series of molds. The class fee includes all materials, handouts and use of mold, weaving stand and tools. Welcome to my new blog. I have no idea what I am going to do with this, but I am going to give it a try. 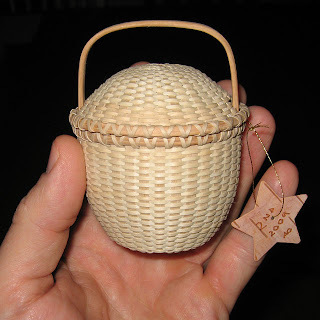 Hopefully this will be a place for me to share my ideas, thoughts and rants on all things basketry (and I am sure a few other topics here and there). I am also going to dig up some old responses to the hundreds of questions I have received over the years.